Craighouse is a wonderful habitat for wildlife and an important wildlife corridor. 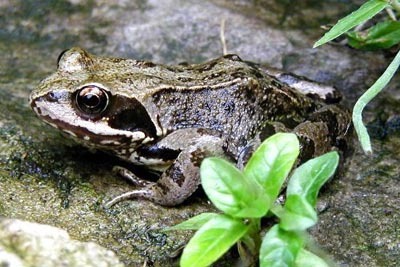 At this time of year you need to be very careful walking at night due to the multitudes of frogs making their way to their ancentral pond on the other side of the site. They cover quite some distance to get there and are apparently fearless at this time of year in the face of local walkers, bikes and dogs. It is very special to be able to be so close to nature in the city and one of the uplifting and unique aspects of this site – and why urban green spaces are so very important and need to be protected. Of course most of Craighouse is a local nature conservation site in addition to the Local Nature Reserve on the hill. It is so sad that developers plan to build all over the protected green areas, and reduce this habitat further for local wildlife. Their plans for new roads and road moves and excessive new-build will have a huge and detrimental impact in this regard as well as being contrary to the Local Plan.